Kildeer, IL – More than 60 guests, including Northwest Community Healthcare leadership, Kildeer’s Village President, real estate investor Medicus Capital, development firm Ankura Healthcare Real Estate, builder Leopardo Companies and lender Wintrust Financial, attended a groundbreaking ceremony held on November 16th to mark the start of construction on a 50,000-square-foot, two-story Outpatient Care Center. The new facility will be located on a 5-acre site at the corner of Rand and Cuba Roads in Kildeer, Illinois. 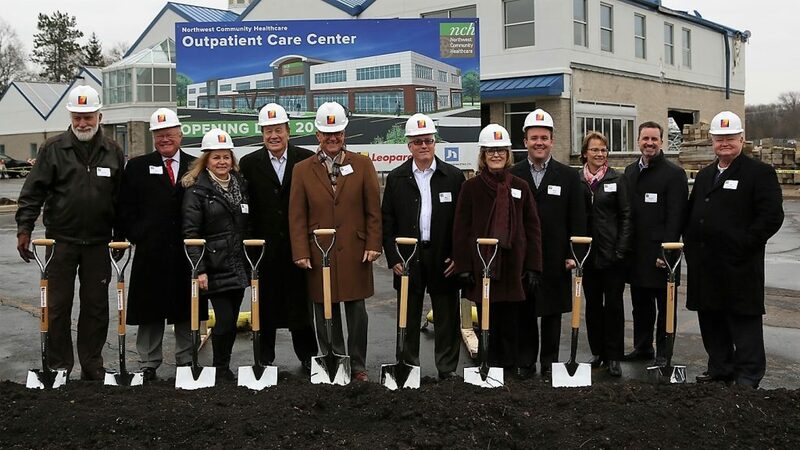 The project is owned by a joint venture formed by Medicus Capital, a Chicago-based private equity firm focused on investing in healthcare real estate developments across the U.S., and Northwest Community Healthcare, an independent healthcare system dedicated to serving Chicago’s northwest suburbs since 1959. 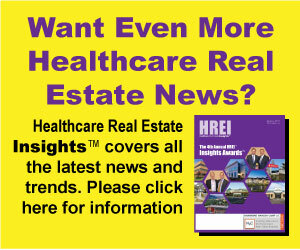 Ankura Healthcare Real Estate Solutions, an affiliate of Medicus Capital, is providing an integrated suite of strategic facility planning, real estate development and program management services on behalf of the joint venture. Leopardo Companies, Inc. is delivering the project under a design-build approach with architecture firm Jensen & Halstead, Ltd. and Wintrust Financial is providing construction financing. In photo above (from left): Charles Hempfling, NCH Board Member, Guy Eisenhuth, NCH Board Member, Nandia Black, Kildeer Village President, Fred D. Campobasso, Ankura Senior Managing Director & Partner, Medicus Capital, Steve Scogna, NCH CEO, Mike O’Keefe, Ankura Managing Director & Partner, Medicus Capital, Diane Hill, NCH Board Chair, Brian C. Baker, Jr., Partner, Medicus Capital, Susan Nelson, NCH VP, Physician Operations, Rich Casey, NCH VP, Hospital Operations, Thomas MacCarthy, NCH Board Member. Medicus Capital is a Chicago-based private equity firm that was formed in 2007 by healthcare real estate industry veterans Fred D. Campobasso, Mike O’Keefe and Brian Baker to focus on investing in healthcare real estate development projects across the U.S.
Ankura is a business advisory and expert services firm defined by HOW we solve challenges. Whether a client is facing an immediate business challenge, trying to increase the value of their company or protect against future risks, Ankura designs, develops, and executes tailored solutions by assembling the right combination of expertise. We build on this experience with every case, client, and situation, collaborating to create innovative, customized solutions, and strategies designed for today’s ever-changing business environment. This gives our clients unparalleled insight and experience across a wide range of economic, governance, and regulatory challenges. At Ankura, we know that collaboration drives results. For more information, please visit: www.ankura.com. Ankura’s Healthcare Real Estate team provides integrated end-to-end real estate solutions, from strategy to financing and development, to health systems and large medical groups across the US.